I learned a big secret during one of my nursing review classes... that would be GINSENG! It can supposedly help with concentration & energy. 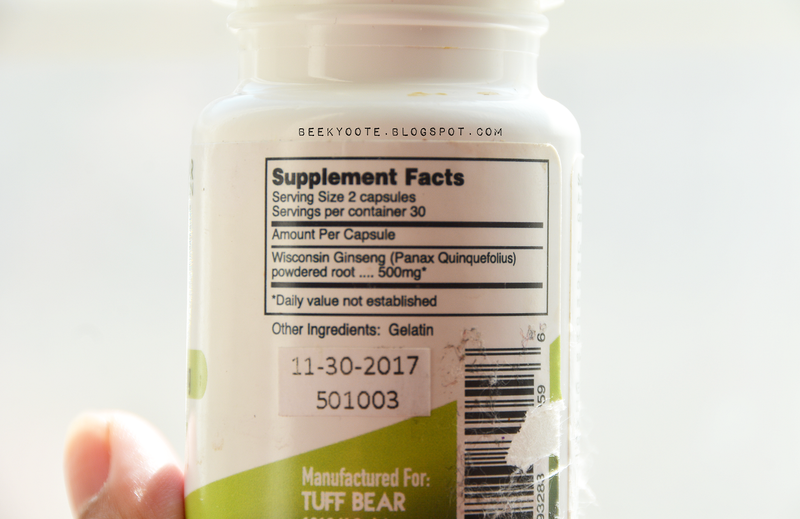 Luckily, I was given a chance to try out Ginseng in capsule form by Tuff Bear. Read on to see what I thought about it! 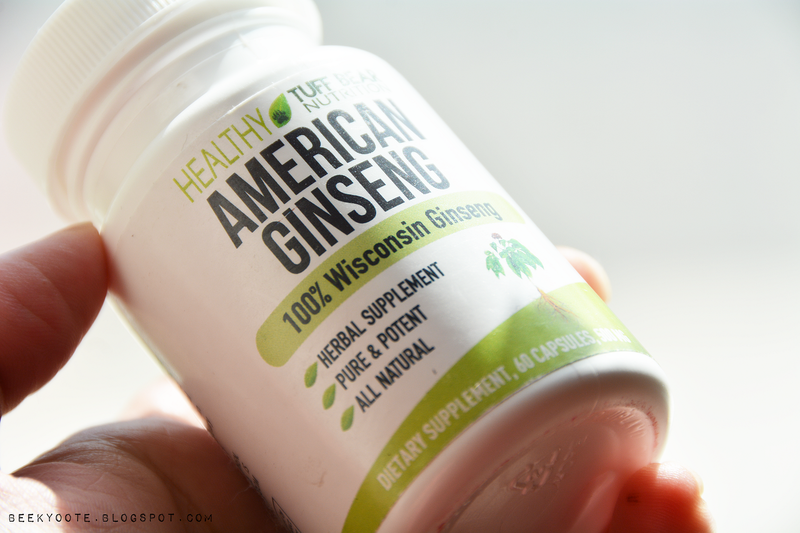 TUFF BEAR American Wisconsin Ginseng Capsules are made with 100% Natural Pure Potent Herbal Panax Quinquefolium American Wisconsin Ginseng Roots that are ground to a powder. SUPPORTS FOCUS AND MEMORY: American ginseng has been shown to provide fast-acting natural support for optimal mental focus and alertness, faster thinking and decision-making, quicker recall and overall increased clarity of mind. 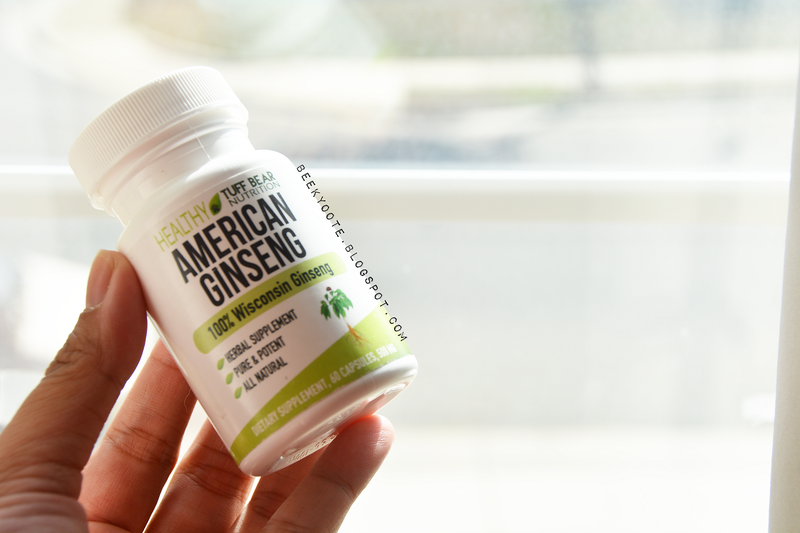 FIGHTS STRESS & FATIGUE: American ginseng has a long history of use an adaptogen known to fight fatigue and stress by supporting the adrenal glands, while also helping muscles utilize oxygen. PURE NATURAL GINSENG: Each capsule has 500 mg of a powerful American Wisconsin Ginseng Powder grown and cultivated in Marathon County, Wisconsin. Periodically the lots of ginseng roots are tested for ginsenosides, the herb's most active constituent. Not every lot is tested, but the last two lots tested from the growing season contained 7% ginsenosides. 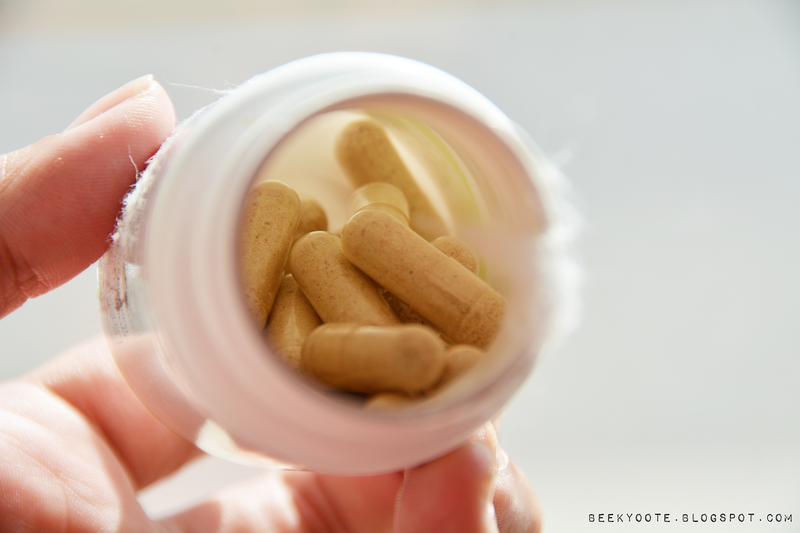 These capsules give out a very strong scent. So if you have a problem with being too sensitive with scents, you might want to pass. As for the effectiveness, I feel it is pretty decent. Although, I did expect it to give me super duper crazy focus, so I was a little disappointed. But for a herbal capsule, I did feel like I was able to get a decent amount of focus when I was studying like crazy the past month. If you're interested in trying this out, buy yours here.